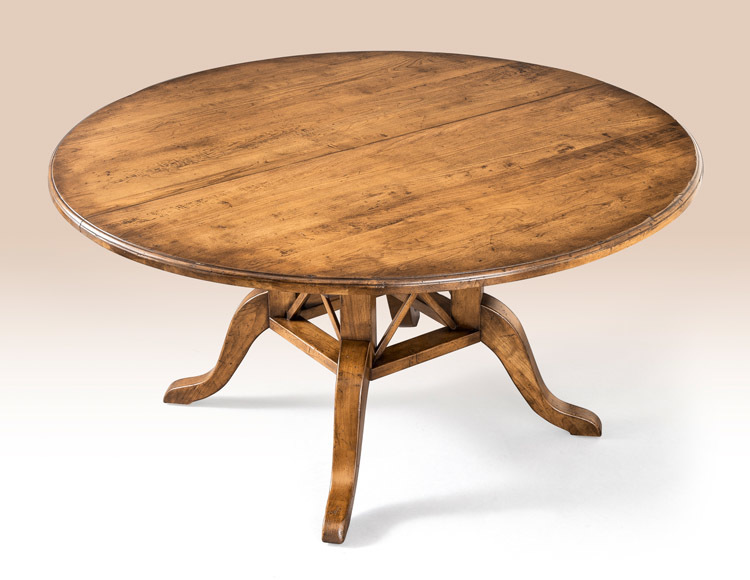 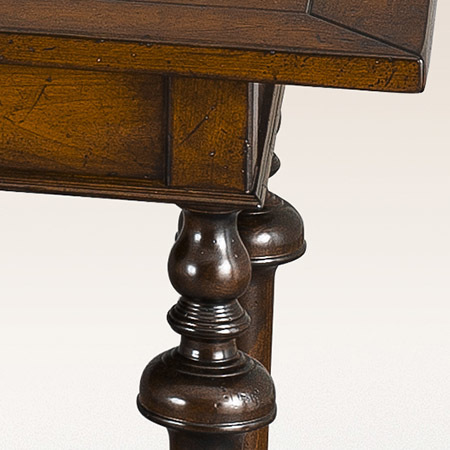 The English Style Hall Table offers a slightly more formal appearance with graceful turned legs and bun feet. 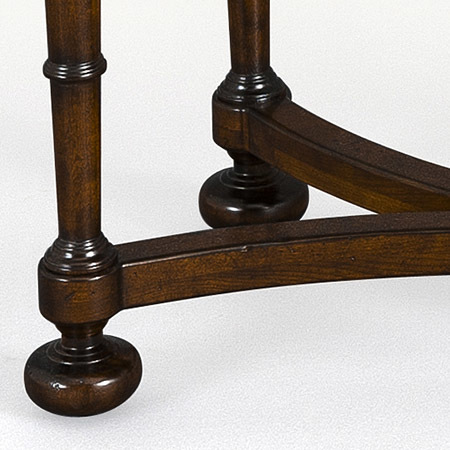 A fifth center leg intersects the stretcher base and provides additional charm and character. 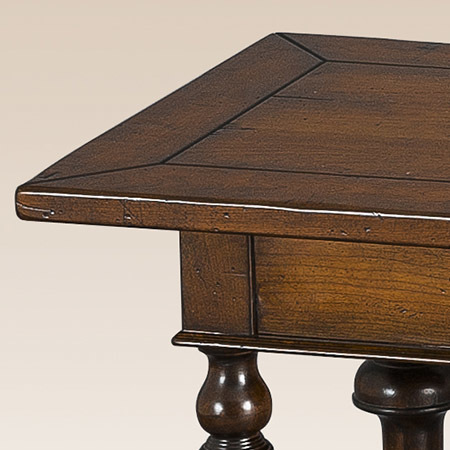 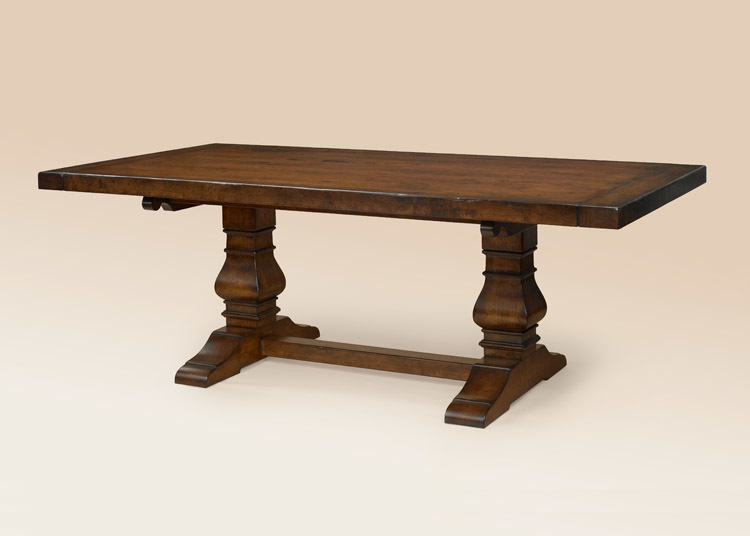 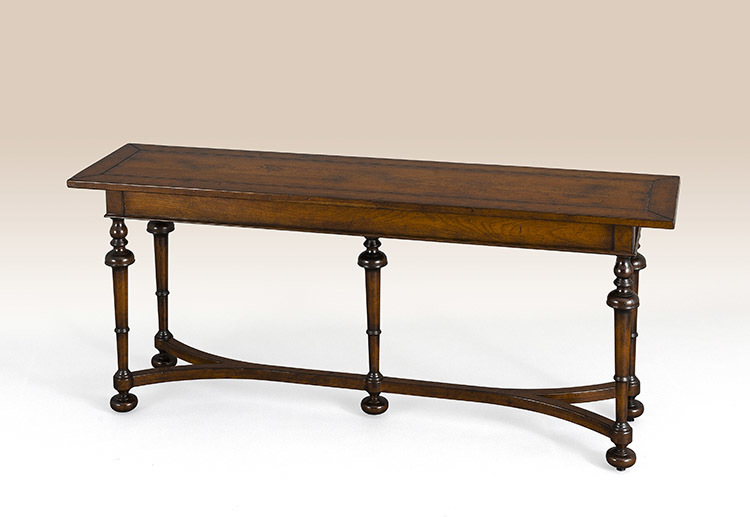 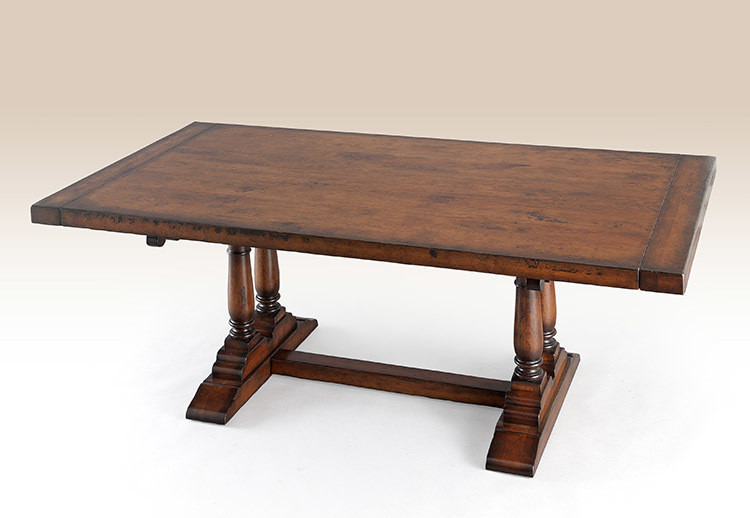 The English Style Hall Table would look lovely in a hallway or formal entryway. 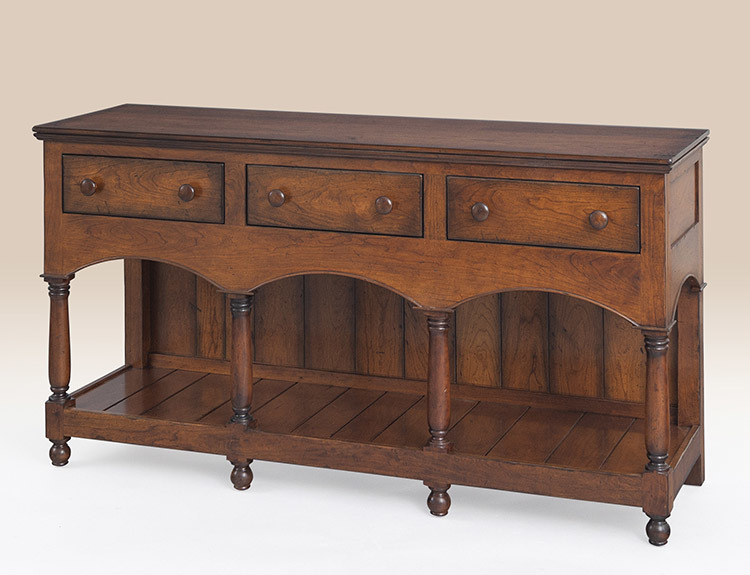 Place it behind your sofa with a couple of lamps and statuary and this exquisite piece will provide a stately finish to your living room! 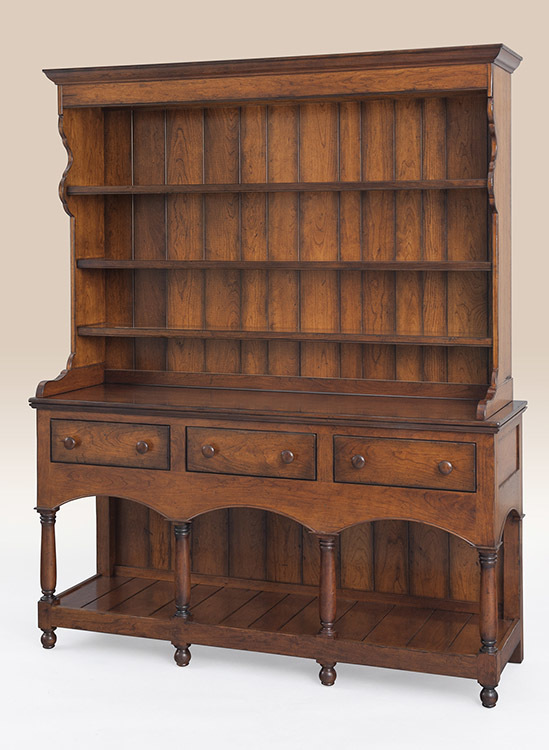 *Pictured in cherry wood – classic European distressed finish.